You asked for it and we’re making it happen! We are proud to introduce Boncora’s first ever biscotti club, “Innamorati,” which means “lovers” in Italian. Membership in Innamorati is loaded with delicious, handmade biscotti delivered straight to your home or office at steeply discounted prices (up to 50% off). 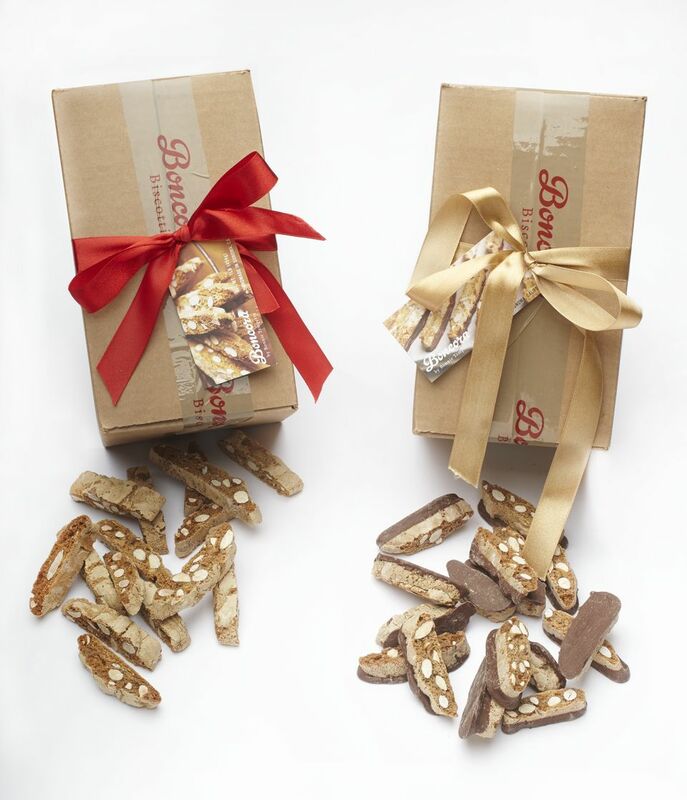 We will send our irresistible biscotti directly to you once a month. The more you buy, the more you save. The cookies you crave, always stocked in your very own kitchen at unbeatable prices! Could it get any better? Actually it can! At Boncora we are dedicated to giving back. So, for every new member who joins Innamorati we will donate $1 to Pet’s Lifeline, a local Sonoma animal shelter. Additionally, the first 5 people who sign up for the Ottimo level of membership will receive a free beautiful Le Parfait glass jar to help keep the biscotti fresh! Due to the deeply discounted prices we are offering we require a minimum 3 month commitment in order to participate.